What would your ideal robot be like? One that can change nappies and tell bedtime stories to your child? Perhaps you'd prefer a butler that can polish silver and mix the perfect cocktail? Or maybe you'd prefer a companion that just happened to be a robot? Certainly, some see robots as a hypothetical future replacement for human carers. But a question roboticists are asking is: how human should these future robot companions be? A companion robot is one that is capable of providing useful assistance in a socially acceptable manner. This means that a robot companion's first goal is to assist humans. Robot companions are mainly developed to help people with special needs such as older people, autistic children or the disabled. They usually aim to help in a specific environment: a house, a care home or a hospital. Pepper, the latest robot from Aldebaran Robotics, is a good example of a humanoid robot companion. It can provide assistance in making choices, detect human facial expressions and communicate with people. Pepper can adapt its behaviour depending on its perception of a person's mood, and in this sense we can say that Pepper cares for people. At the moment, only research institutes and Japanese residents can acquire a Pepper robot. The robot costs around £8,710 for a Japanese customer. Should robots be more 'human'? 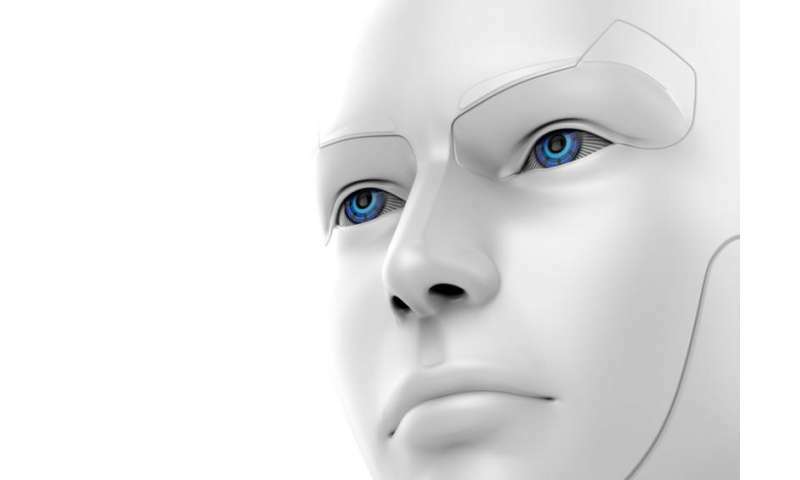 Although the popular and controversial Turing test is used in AI to measure whether a machine is as intelligent as a human, it is a very different thing when it comes to robots, since robots are also expected to act intelligently. There is not yet a standardised test to determinate how human a robot is. It may come in the near future. However, all robotic researchers seem to agree that the robot would have to be able to show some social awareness and personality, and be capable of understanding and recognising people's speech and expressions. But do we want robots to have more personality and to be able to take more initiative? Ultimately, to act more like us? Some may argue, yes. If intelligent vacuum cleaners were able to differentiate a sleeping human from objects, for example, at least one unfortunate lady in South Korea wouldn't have had her hair "eaten" by her new domestic appliance. But others argue that it is dangerous to give robots too much intelligence. And would it allow them to answer back? We are still at the beginning of research regarding the potential consequences this might have. Indeed, the scientific community is still debating whether a robot can ever have feelings or be self-conscious. Although AI has been able to perform certain tasks extremely skillfully, for example Alpha Go, the community is still a long way from developing an AI which closely resembles the human mind. But it's about striking the right balance, depending on the job at hand and the person it is working for. Our most recent study, Who is in charge? Sense of control and Robot anxiety in Human Robot Interaction, showed that the more controlling and anxious about robots a person is, the more initiative they expect the robot to show and the more willing they are to delegate tasks to it. The research focused specifically on what level of initiative people preferred their robot companion to have when executing a cleaning task. In the future, it is likely that we will see more domestic robot companions that can be customised to people's individual preferences. And we will be able to shop for them as we now shop for vacuum cleaners and phones. Ultimately, it seems, there will be a robot for everyone. I don't want a robot companion I want a robot slave/maid! I would gladly pay (slave/maid for housework) as much as for a new midsized car, if it was durable for say 15 years.